Fiverr Complaints Are They Justified? For those of you who have never heard of Fiverr, it is a website where people can go to offer their service or to purchase a service for $5. It’s as simple as that. However, not everything is at $5. People can sell their service for whatever price they desire and they do this by offering special packages read how Alison has made over $100,000 on Fiverr. Fiverr calls them “custom orders”. These are great because, at this point, you are able to add extras and increase the offer of your desired price. On the other hand, many people actually do offer their work for $5. I know, it’s hard to believe isn’t it? and that is also one of the reasons to Fiverr complaints, standard starting price is too low. It’s even harder to believe when you know that Fiverr takes $1 off of the $5 as a commission leaving freelancers with just $4. What services can you find on Fiverr? …and the list goes on. Sometimes, you’ll even be surprised as to what kind of talent people really have out there. It’s pretty impressive actually. The procedure for joining is so simple that it only takes a few minutes to create your profile. Whether you are a buyer or a seller, they oblige you to create a profile, choose a catchy easy to remember name if you are a seller to make it easy to remember for your future clients. Then, once you have done that, if you are a seller, you can go ahead to create your, what Fiverr calls it, “gig. These must include the details of what service you are providing. You can even put together a small video introducing yourself and your gig. Buyers like this because they really get a sense of who they are purchasing from. It puts them at ease with you right away. Sellers who have videos in their profile are more popular than those that don’t. People who are not native English speakers may feel disadvantaged here and there have been some Fiverr complaints from people getting started and can’t record a video for Fiverr due to language barrier/accents. The entire process of selling and buying is pretty awesome and very well structured. The good thing about Fiverr is that both parties involved are protected. The seller doesn’t get paid until the work is delivered, however, the buyer still pays in advance, prior to receiving the work. How does that work? Well, Fiverr keeps the money in escrow. Once the work is delivered, Fiverr deposits the money into the sellers account, minus their commission of course. This way, nobody gets scammed and nobody worries about getting scammed.Still, read more on outsourcing here.You can outsource just about anything at Fiverr. It’s really important that you read the comments that the buyers/sellers have written about their experience prior to actually hiring someone or working with someone. Even then, a part of me believes that those comments aren’t 100% accurate.Read more on Fiverr complaints here.There are much more complaints out there, just do a google search of the complaints. Some sellers aren’t really that great at what they do. Once the work has been delivered, yes, you can ask for a revision if the seller has permitted this in the “gig” description but still, to me, that really doesn’t make any difference is some cases. I will give you an example: I hired someone to make a whiteboard for me. I even had the voice-over ready and everything. I had sent images of what I wanted in my video. I had even sent the seller to my websites so that he can get a feel of my style. Well, to make a long story short, when he delivered the video, I was so disappointed that I asked him to redo it. It was nothing like I had imagined. He said that he would redo it for free. So I waited a few days. However, I had already given him my comments and I don’t have to tell you that they weren’t positive at all. Then, once he read them, he asked me to give him a good review because if I didn’t, it would take some sales away from him and it would affect his reputation or earn him Fiverr complaints. I am a very sensitive person so how do you think this made me feel? This job is probably the only job that this person has. He may even be feeding his family with the income that he is making with this “gig”. Anyway, because he was redoing my whiteboard, I decided to give him a good review. Well, guess what? I never saw the new video. I had to make a complaint to Fiverr and everything turned out ok in the end, but still, it was a hassle. I had still turned around a hired a different person to do my whiteboard and this time, it was awesome! So, I guess we just have to be vigilante on choosing who we work with. The moral of the story is when you find someone that does great work, don’t let them go. Freelancers do not stick around for long, they do move to green pastures but before they do hold on to the good one you find. Some people have even complained about not being able to get their money deposited and when they did, it took a very long time. Again, let’s not take everything seriously. Many people write horrible comments about certain services simply because they have either been kicked out, because this is very possible, or because they have lived one bad experience. Not everything in life is perfect, but I have to tell you, if you look long enough, you can find something very close to it. Fiverr is an amazing place to start a business. It really is. They offer everything in one place. It is becoming more and more popular every day. If you are a content writer and want to help out website owners out there that simply don’t have the time to write for themselves, Fiverr is the place to start. If you want to help others build their websites in WordPress, offer your services on Fiverr. You never know what can happen. Big companies go on Fiverr looking for that extra help. Create your profile, record a little video. Speak from the heart and make your personality shine! Avoid Fiverr complaints by offering top quality in whatever gig you perform. Someone will hire you and when they do, others will follow as well. 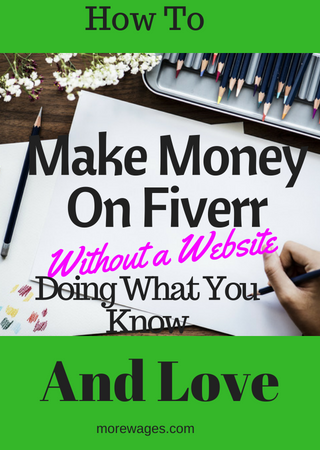 But if you are looking for better ways to make money than spending hours working on Fiverr, you can build your own website, drive traffic to your site, this way, you can make more money for yourself than waiting for gigs at Fiverr. What a great article and honest information on feverr complains. I have heard about feverr, but I never knew what goes on there. never knew that its a place where where people buy and sell . Now that I no the truthfulness of what feverr really is and what goes on there, I will surely try to hire a service there to see how their platform works. As you said I will need to be vigilant of whom I deal with so as to avoid any scam. Thank you so much for this great article on feverr. You are welcome to try Fiverr,there are good gigs there. I have never heard of Fiverr before, so I found your article very intriguing. It sounds like there are a lot of positive aspects of joining in. I like your honest review of Fiverr. Thank you for pointing out the pluses and minuses of this website. The more we are aware of what we are getting ourselves in, the better. Excellent article. Thanks Grace,Fiverr has positives too and there are good gigs there if you look around,not only that, if you`re not happy,you can always ask for a refund. As is the case with many other online sites revolving around people providing a service for others, fiverr has both good qualities as well as bad. Really, as you stated in your review, it would be a matter of a person doing his due diligence by first performing research on any person at the fiverrr site who is advertising him/herself out to be hired. Last year, I hired an artistic designer at the fiverrr site asking that he create a logo for my websites. He was very professional throughout the entire process. I was not quite happy with a draft of a logo that he created initially. He was more than willing to create something more in line with what I had in mind, the finished product extremely well done. He also charged an extremely fair price. At fiverr, I can imagine that some people advertising their business practices are not as ethical as the individual who I had hired. As I did in research, what is available at the fiverr site is the opportunity to see how others have felt as far as written reviews of that individual’s prior business practices – be it creating artistic logos or writing article content. If the person was lousy at his/her craft, then the reviews would clearly reveal it to future prospective clients. There would be no reason to hire some individual who has received nothing but bad reviews, no matter how low a price this person would charge for his/her services. A well-known motto is: “you get what you pay for”. Hire some shady person at any site, (not just fiverr) to perform a task for you most likely would result in subpar work being performed when he/she requested an extremely cheap price for his/her services. Was the low price that you paid for this individual worth it? I would think not! Thanks for stopping by, I agree there are good Fiverr gigs, people who know what they are doing, people ready to provide quality. Then there are freelancers there who will really frustrate you, I`ve had freelancers ask me for a positive review before they can refund my money, I`ve had an article lifted right out of Wikipedia word for word and delivered to me by a “top rated writer”. I think the positive reviews does not always matter when outsourcing from any site.I have 3 websites so I outsource quite a lot for my other 2 sites and in time I`ve come to learn that nothing is as it seems, I`ve also learned to give anyone a chance as I`ve had very good experiences(some bad too) even from writers low ranked maybe because they are starting out. But having said that, just like offline, you get mostly what you pay for in outsourcing sites, pay the cheapest and you get low-quality product that you can not use, pay medium price, you get an ok product that you may need to do more work to before you can use it. Having said that outsourcing platforms like Fiverr,odesk and iWriter are a really useful if you need something done, we can`t all be good at everything.